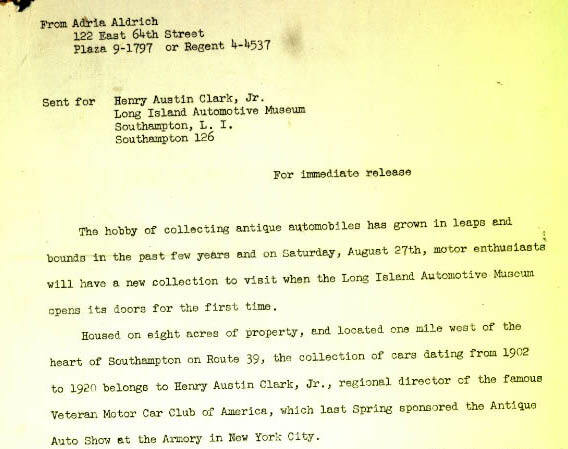 Walter McCarthy, prominent Long Island automobile collector and Henry Austin Clark, Jr.'s friend for over 25 years, has provided his extensive files and photos of the Long Island Automotive Museum. 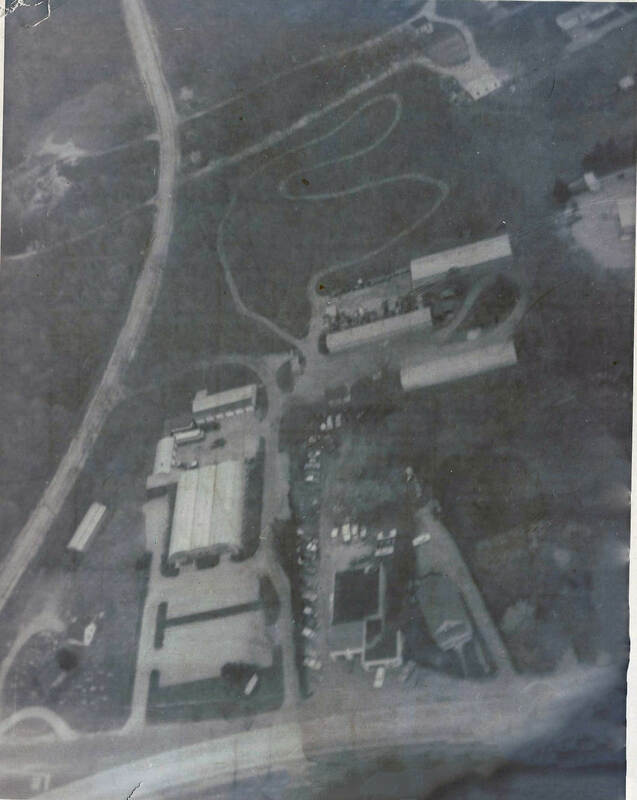 First in this series are documents and photos from 1948. 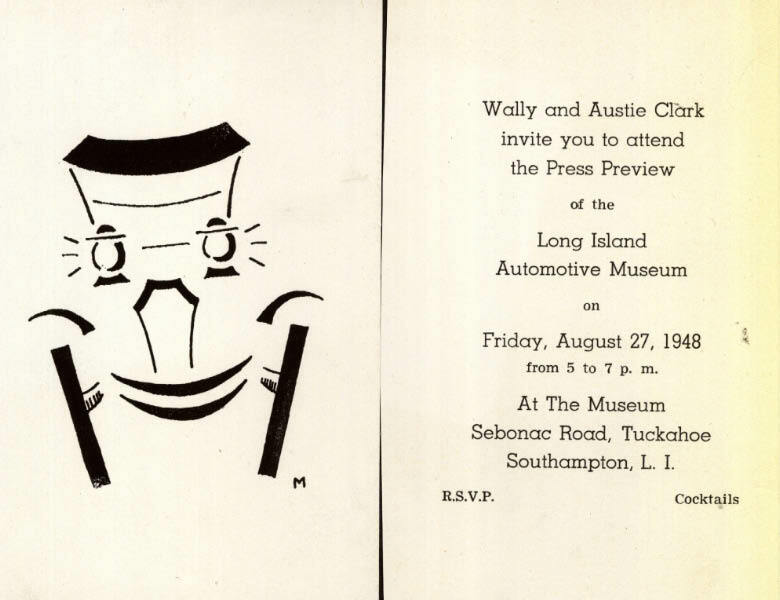 The invitation to the August 27, 1948 press preview of the museum. 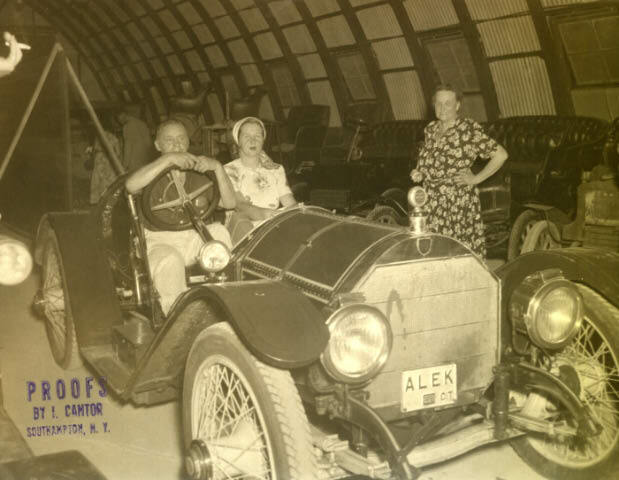 A. Ulmann in his 1914 Mercer Raceabout at the museum opening. 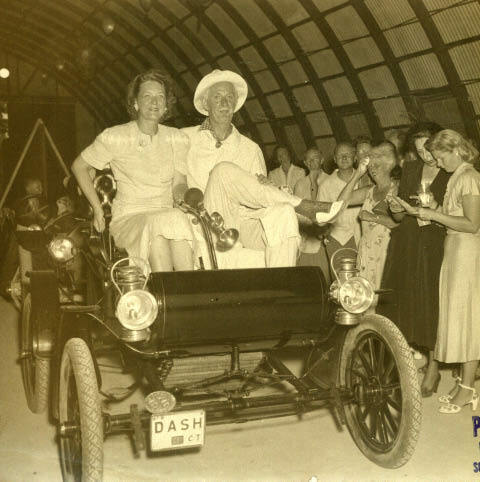 John Paul and Helen Stack in a curved dash Olds at the museum opening. 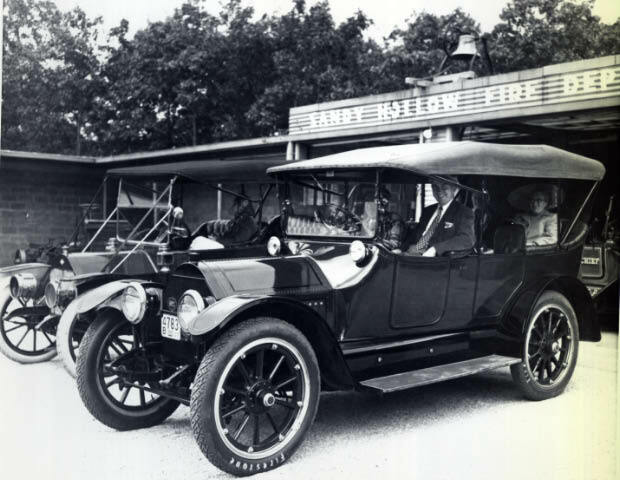 1911 Everett and a 1914 Cadillac in front of the museum's Sandy Hollow Fire Department building. 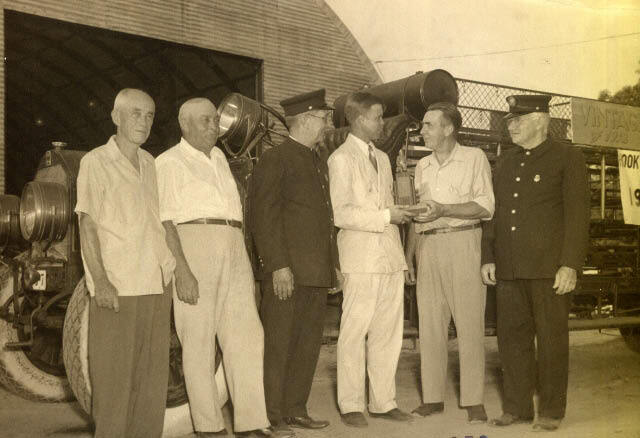 Henry Austin Clark, Jr. receiving an award. 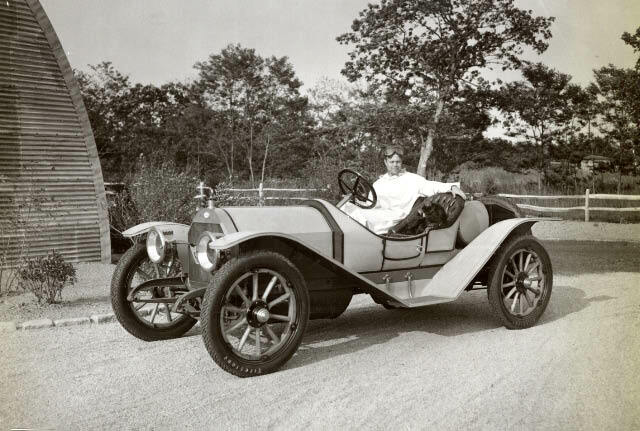 Henry Austin Clark, Jr. in his 1912 Moon. I remember going to the Museum on a class trip when I was in Elementary School. After that visit I was hooked on old cars and I am still today. I wish I still had the post cards of the different cars from the Museum. I STILL recall virtually every second of my two trips to the museum as a child of 9 and then 13 with my family. I still have postcards from the gift counter and two plastic models from the Indy 500…the Gilmore special and the Maserati. There was a hulking pile of rust outside one of the buildings. It was my first glimpse ever of a Bugatti restoration in “progress” as I asked an older man if any of these parts were also for sale. “Nope. I’ll get to this someday but for now lets leave it here as a blessed heap.” I never forget! 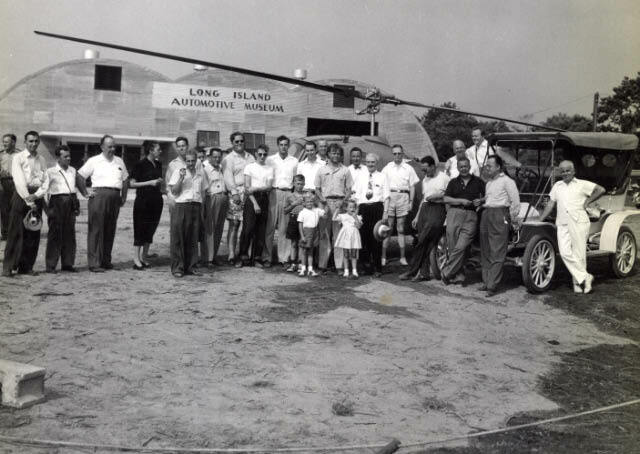 Thanks Howard for the film on the LI Auto Museum. My uncle took me many years ago to the museum and I think this triggered my interest in old cars. I do not remember too much of my visit but your film helped bring back some memories. 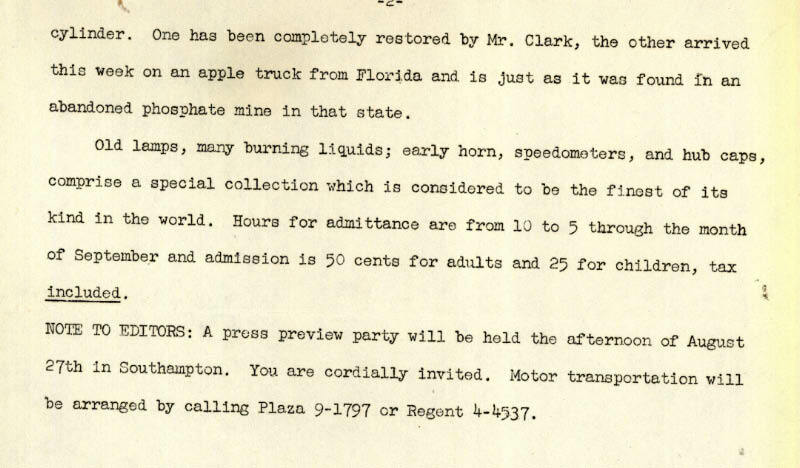 Too bad that we do not have a museum of that type here on Long Island any more. 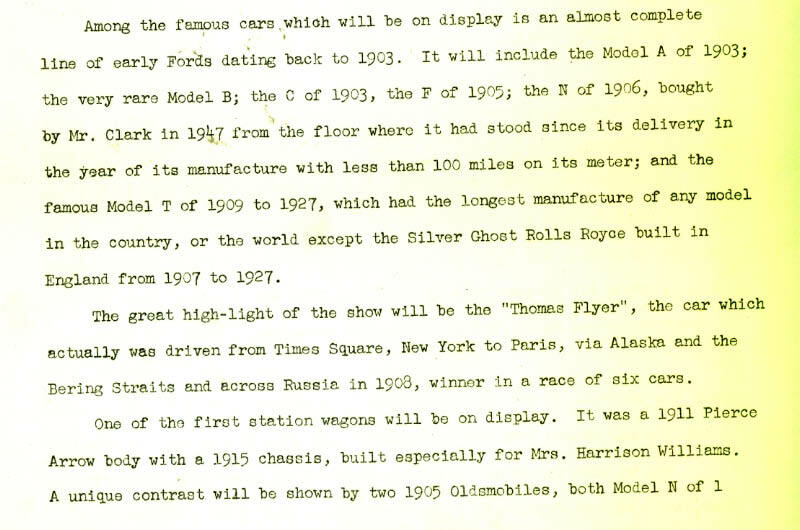 Me and norris hopping put most of the cars in museum before opening,also helped put curved dash olds on roof of entrance,had many parades,fashion shows,and driving the old cars.i used the jeep wrecker to bring back a disabled car from the bridgehampton races.me and austie raced the mercer in 1950 race,he loved the speed of that old car we got it up to 87 mph ,at end of race he pulled the brake which only had rear brakes,and put it into a skid,scared the crap outa me. good old times. I love your publication! Thank you! Has there ever been any interest in restoring the old museum and it’s property? 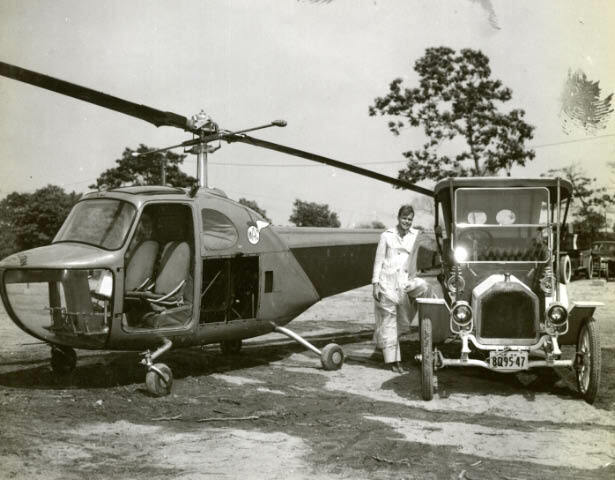 It would be so fitting to the memory of Austin as his was one of the very first museums dedicated to motor vehicles. I hate to see it just rotting away if it is still there. Rick, I believe the property is no longer zoned for a museum.. Loved the film! Sad ending tho. I have many postcards from the museum. I don’t believe austie ever got museum to a museum status . that was part of the problem.. non exempt tax right off.